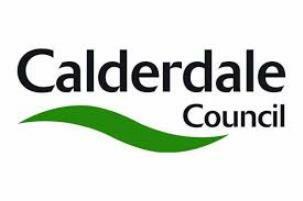 The Cabinet’s budget proposals are now available for consultation on the Calderdale Council website. The draft proposals were tabled at the Cabinet meeting on 14 January, marking the start of a 28 day public consultation. Additional Council money has been allocated to cover rising demand and costs in Adult’s and Children’s Social Care on top of £2.5m of extra Government funding. Additional provision of £500k to help with winter maintenance/gritting costs has also been made should it be required to help protect road users and maintain other services during wintry conditions. To reduce poverty and inequality the Cabinet is proposing to continue its commitment to pay social care providers an additional £1.3 million in 2019/20 to raise staff pay, improve training and terms and conditions. Operate more commercially to maximise income and resources by making the most use out of capital funding, achieving more planning fee income from increased housebuilding, selling surplus assets, reducing the money paid to West Yorkshire Combined Authority and changing Council Tax exemptions. Provide services more efficiently, making greater use of technology and equipment (especially in Adults’ Social Care) and explore ways of reducing costs by delivering some activities in different ways. Work more efficiently at lower cost in areas providing back-office support (including reviewing staff travel arrangements) and streamlining how the Council itself operates on a democratic level. The budget proposals are available to view at https://www.calderdale.gov.uk/v2/council/budgets-and-spending/proposed-budget-2019.